I have always been active and tried to better myself by pushing my limits through physical tasks. I trained various martial arts for over ten years, gymnastics for six and was a regular gym goer for many years; but all that had to stop when I was seriously injured at work. I had herniated my disk (L4,L5) bad enough that it was pushing on three sets of nerves, which led to chronic sciatic pain running down my right leg, loss of feeling in parts of my thigh, a constant sensation of pins and needles in my foot and the inability to sit, stand or walk for more then ten minutes at a time. After the first couple of weeks following the accident, the Doctor told me that without surgery, during which they wanted to remove the disk and fuse the two vertebrae together, I would not be able to walk again without the use of a cane. Being driven and ambitious, I refused to go through surgery, mainly because I did not like the odds of all the things that could go permanently wrong. It had taken a year of physiotherapy and a lot of other treatments to 'pop' my disk back into place. During this time all of the symptoms had continued to plague me; this led to some very dark times. Towards the end of Physiotherapy they had me deadlift an empty bar( 45lbs) for a simple 5x5, to help me get stronger; this was pretty close to my max physical capacity at the time. A month later, back in 2010, I heard about the Crossfit methodology, and how intense it was; I signed up and within six to eight months I got my deadlift up to 405lbs, figured this Crossfit stuff was pretty good so I stuck with it to this day. Since then I have been part of six Crossfit Regional competitions, coached on the Crossfit Gymnastics Certification staff for three years for which I traveled the world to educate coaches how to teach Crossfit gymnastics to their athletes. I now train Crossfit and coach Crossfit-style gymnastics out of Taranis Athletics, which is regarded as one of the best Crossfit gyms in North America and has sent numerous athletes to compete on the world stage and held their own against the best for 6+ years, not only in Crossfit but in Powerlifting too. I have been a long time supporter of Popeyes Victoria. The reason is rather simple, customer service, price point and knowledge of supplementation. They won me over when Chris (the owner) talked me out of purchasing a supplement and recommended a cheaper product because he felt it would best serve my specific needs, and he was right. They put their priority into customers service rather than profit and have a genuine desire to better our community however they can. Thank you Popeyes Victoria for all your help and support over the years! Georgia has been involved in sports her whole life. She was a competitive swimmer, track and field athlete and competed in CrossFit. Through CrossFit, she developed a passion for Olympic Weightlifting, and has now been competing for 3 years. Georgia is coached by Rachel Siemens out of Vic City Weightlifting, and attends the Canadian Sport School. At age15, Georgia hopes to one day compete at Junior Worlds, Senior Worlds, and eventually one day the Olympics. Georgia frequently stops by Popeye’s Supplements Victoria store to restock on her favourite products. She enjoys consulting with the owner Chris and the other knowledgeable staff members, to develop a better understanding on what supplements will help her perform at her highest level. *All 3 of these products are independently tested by either Informed Choice or IFOS to guarantee they are free of banned impurities and have accurate label claims. Corissa Sivorot has been competing in Kettlebell Sport since 2014. After being a competitive rower in high school, Corissa struggled to keep up a regular fitness routine into her 20s. Frustrated with a lack of motivation and energy, Corissa decided to make a change. She began using Kettlebells as a fitness tool and quickly found her passion and competitive nature led her into the field of Kettlebell sport. After her first competition in 2014 at the CKA Nationals in Victoria, BC., Corissa was hooked. Since then, she has become a member of the Canadian National Kettlebell Team and is currently training to compete in the IUKL World Kettlebell Competition in Seoul, South Korea. 2017 is an important time for woman in the sport as this year will be the first year that women will be competing in double Kettlebell events. 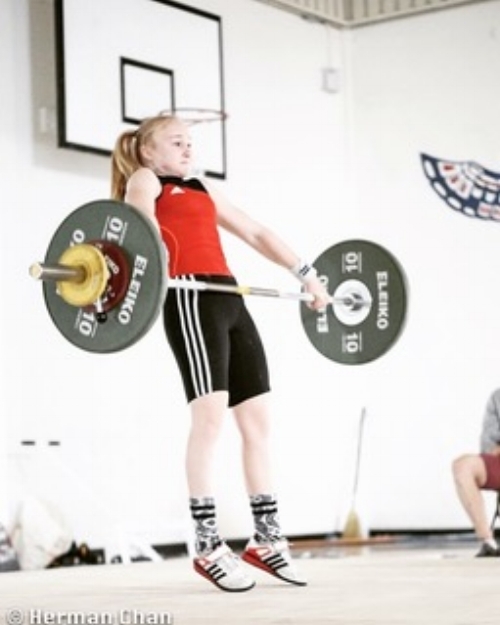 Corissa is honoured to be a part of this historic occasion and is excited to show the world that women are physically capable of performing the same lifts as men do with great results. Her goal is to be able to compete in this lift as a professional athlete. 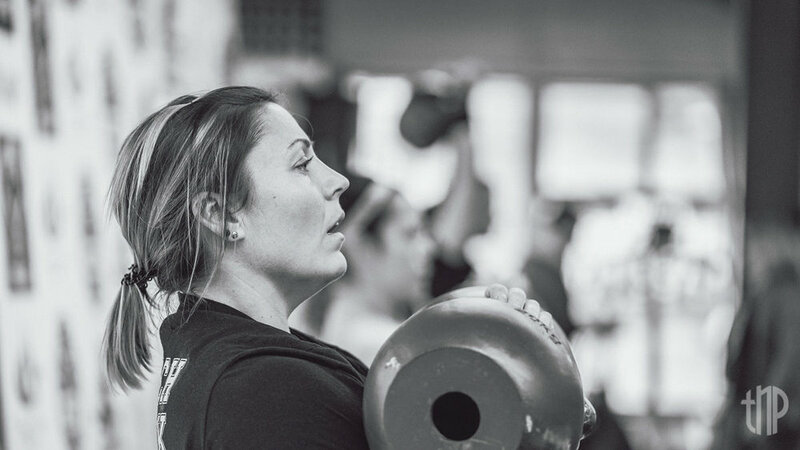 When she’s not training, Corissa dedicates her time to coaching others, including many Kettlebell Sport athletes. Corissa co-owns the Westshore Warehouse in Langford, BC. where she trains individuals wanting to improve their health and fitness, along with a team of Kettlebell athletes that range from beginners to experienced lifters. Chris and his team at Popeye’s Victoria have been instrumental in rounding out her nutritional needs as an athlete. The helpful staff and expert knowledge has helped Corissa get the most out of her workouts and recovery. I was raised and currently live within the beautiful city of Victoria, British Columbia where for decades I've been a care giver for individuals with special needs, a nanny, a fundraiser for sick kids, supporter of the homeless, as well as a security guard at local events & clubs. After retiring from my international travels as the Canadian kickboxing / Muay Thai champion and international D.J the highs in my life had abruptly switched from a peak to an all time low thus leaving me depressed and lonely. This was the turning point in my life when I had decided to get the most intelligent pets available, so rather than getting a dolphin, monkey, or an elephant … I got the next smartest animals on the planet, potbelly pigs. This is the point when I began my mission as a warrior for animal rights after making my true connection to all animals through my love for my little swine friends. I allowed my newfound love for all animals to drive me towards following a plant based diet aka. Veganism which I'm honored to share with everyone. During my dietary switch to Veganism to ensure i was getting in all my nutrients I starting using a product I would recommend to everyone. VEGEGREENS by Progressive Nutritional Therapies. Anyone, on any diet can help boost their energy levels significantly by using this nutrient dense product , especially if their not already consuming enough plant based nutrients within their own diet. I think we can all agree that almost no one truly does anymore. After switching to Veganism I began working out again, and what I noticed is that I had far more energy as my cardio limits blasted through the roof and my blood pressure dropped significantly (from such a low amount of cholesterol in my diet) Believe it or not I actually had an easier time than ever before building lean muscle, which is something i really didn’t expect. During my diet plan I was originally taking Sun Warrior Classic Vegan protein immediately after all my work outs. More recently Chris at Popeyes had me switch to using the Iron Vegan Athlete’s Blend because of its enhanced amino profile and the fact it’s Canadian made, just like myself and I must say it is fantastic. I just had to try this Vegan diet out for myself in order to find out the truth and now that I have, I've become more motivated than ever to share my journey. To achieve that goal I’ve commiting myself to competing in my first ever bodybuilding competition in 2017/2018. I also plan to be making a come back inside the martial arts ring in order to win myself back the World Muay Thai Championship, which I felt I was once robbed of many years ago. So stay tuned ... because this is about to get as real and as inspirational as it can get. I have now gained more inspiration than ever before as I learned how to become a fighter for others, rather than for my own self. If you wish to know more about my succesful diet plan, as well as my supplements of choice then please feel free to contact me through my website www.woce.ca and I will reply to you ASAP. Guided by my newfound knowledge I try to provide everyone with updates during my mission and together we will help heal the planet! People might wonder why I've always stuck with Popeye’s Supplements Victoria. That is because of their unwavering support in my mission of winning my kickboxing belts, long before I had ever won any titles. Chris the owner from Popeye's Victoria always has the most accurate up to date information to share with me, which has helped guide me on a much more accurate path towards optimal athletic health. The incredible knowledge he has shared with me over the many years has proven invaluable. I’ve been able to use this knowledge to help guide others towards living a more optimal life as well. Currently the most ideal protein supplement I always purchase from Popeye’s Supplements Victoria is the Iron Vegan Athlete’s Blend powder. Each serving provides 30 grams of organic, non-GMO plant based protein which supplies a complete range of essential amino acids that helps to build and repair my body tissues. Along with that I love my Progressive brand Veggie Greens. This product is a huge factor in my health as there are over 60 different quality nutrients included from both land & sea and they actually taste great in just water! beneficial supplement for muscle contractions, and our hearts? Thanks for taking the time to read my profile and if you have any questions, please don’t hestitate to ask. Together we can make a difference. My childhood love for sports lead me to my lifelong love for health and fitness! I grew up playing competitive team sports, and have enjoyed weight training since high school. When I discovered the world of fitness competitions it seemed like a great way to challenge myself and take my fitness to the next level. I entered my first bikini competition in the 2014 Kelowna Classic, placing 4th in my class, and I was hooked! I have since competed provincially and nationally and re-entered the Kelowna Classic in 2017. I came back to win figure overall and 1st place in my bikini division. In 2018 I turned my focus from my physical self to inward. I set a goal of completing my yoga teacher training in Bali, Indonesia with Blissology Yoga. My yoga practice began as a way to prevent strains and pains that come with heavy training, and soon moved into all aspects of my life. Yoga is my peaceful place. It inspires me to live every moment more mindfully and reminds me to slow down and “just be”. In addition to teaching yoga, I am also a CanFitPro certified personal training specialist, and am certified by the Alive Academy of Natural Health in Holistic Sports Nutrition. My passion for fitness has turned into my full time job. I love working with people from all walks of life to provide education and skills on how to live a sustainable, healthy, active lifestyle. As a natural athlete and fitness coach, I love that Popeyes Supplements distributes only the most reputable supplement brands. I feel confident sending my clients and friends to Popeyes to find exactly what they need to help them achieve their personal health goals. The staff offers expert advice to anyone who walks through the door looking for information on how to live their fittest life. The atmosphere is inviting and uplifting, and you can tell the people working there are passionate advocates for healthy living! I am proud to represent such an upstanding company! 2. Drip Fit cream – Not just for sweat accelerating! Professional Highland Games Athlete/ Masters Track and Field Throwing competitor and coach. Age 36. I have been competing in Highland Games since 2007 with a football background. Two time Provincial Champ. Competed in Ontario in 2011 at the Canadian Amateur Championships and twice in Minnesota at the World Amateur Championships. Turned Pro 2 years ago. Love getting to travel all over North America competing and hope to one day compete in Scotland. Last year I started as a throws coach for kids and competing as a Masters athlete with Peninsula Track and Field. It’s been a lot fun learning Shotput, Discus, Olympic hammer and Javelin as well as teaching and watching the kids develop their skills and get better. I have been a long time Popeyes Victoria customer because Chris and the staff treat me well and are extremely supportive and knowledgeable. I can buy supplements from them with complete confidence and not have to worry about the quality of the product. I love to be in motion in some form or another. My body craves activity, new challenges, and evolution. From a young age I developed the taste for competition in many different sports like gymnastics, trampoline, soccer and volleyball. Naturally, my interest in the human body led me to study human kinetics. I graduated from York University with a BA in Kinesiology & Health Science. In between studying, weight training, playing soccer and volleyball, I helped women achieve their wellness goals as a Certified Can-Fit-Pro Personal Trainer in Ontario. I then traveled to East Asia, inspired by a new concept for me to tackle: quieting the mind while keeping the body in motion. There, my love of yoga was conceived. Aside being a mother of two (which is demanding on its own), my daily pursuit is to perform ‘mindful movement’, as well as, ‘finding comfort in the stillness’. Starting the day with gratitude and intention, is paramount in maintaining my focus and adherence to my commitments. I admire the value of hard work and dedication. Since my teenage years I vowed to one day step on stage to compete in a fitness competition. This is the year I realized that goal. I took first place in my category, and masters overall, at the 2018 Kelowna Classic. I then graced the stage two weeks later in Laval, Quebec and qualified for Nationals. I am excited to represent BC again next year at the 2019 IEQ in Vancouver. I will be bringing the best package possible with guidance from my amazing coach, Allison Dawson, and the expertise from the staff at Popeye’s Victoria. My hope is to acquire a coveted Pro-Card to compete internationally . I admit that I was initially intimidated on my first visit to Popeye’s Supplements. The store is full of top-of-the-line products and boasts amazing customer service. It is the knowledgeable and approachable staff that keeps me coming back for more. All my supplement needs are met every time, and I am always impressed with their customer service. P.S. Thank you Chris Kinnear for carrying my favourite Peanut butter!!! At 51 Shirley is loving the fit lifestyle and enjoys being healthy, active and training and encouraging others. Shirley started training about 4.5 years ago and has since earner her IFBB Pro card at the North American Chamoionships in Masters Bikini in 2018. Shirley’s go to products when prepping for a competition are PVL's L-Carnitine Gold. She also loves ON Gold Standard Whey protein powder and uses PVL Water Tight before going on stage . She is also known to be totally addicted to ONE bars so you may see her in the shop stopping in regularly for those too! Shirley uses her Instagram account @Bikinibc_IFBB_Pro to encourage others and is very proud to be selected as a Popeye’s Brand Ambassador. I love coming to the store as the people are not only helpful and friendly, but also very knowledgeable.